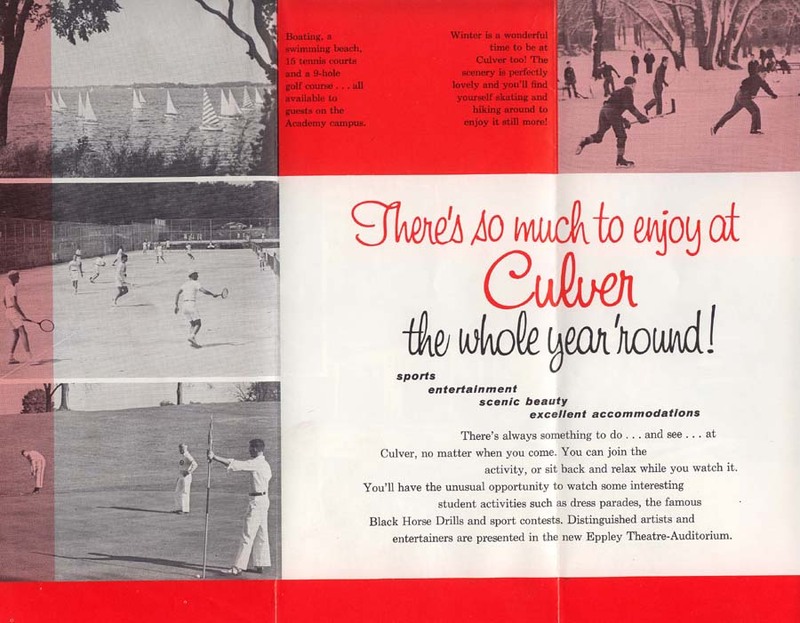 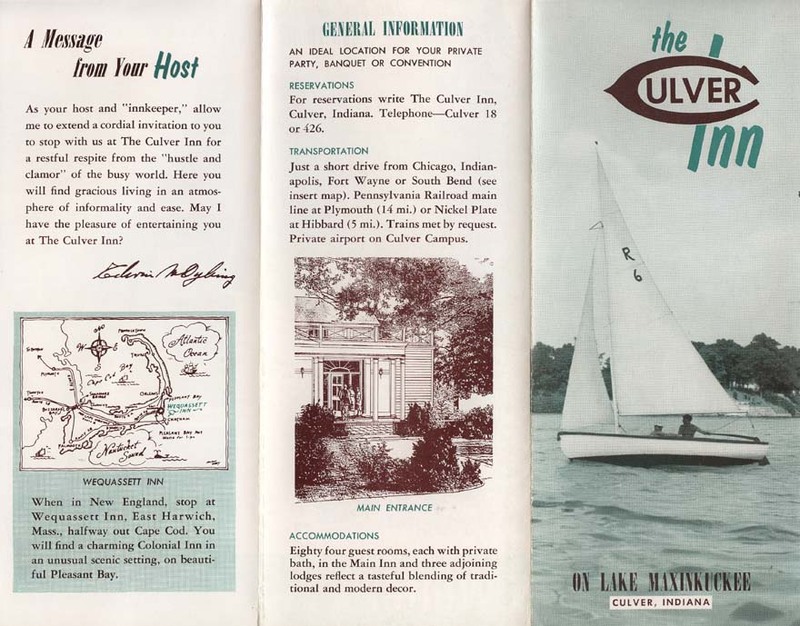 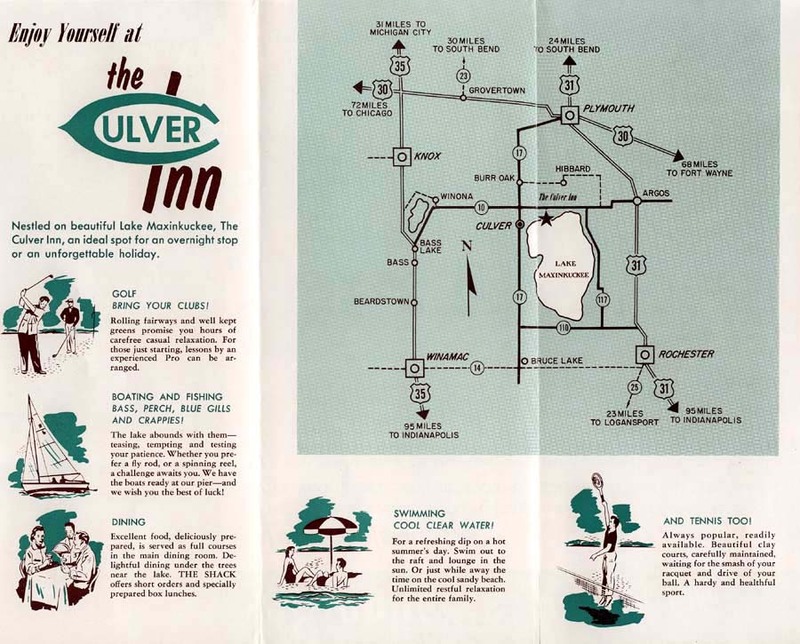 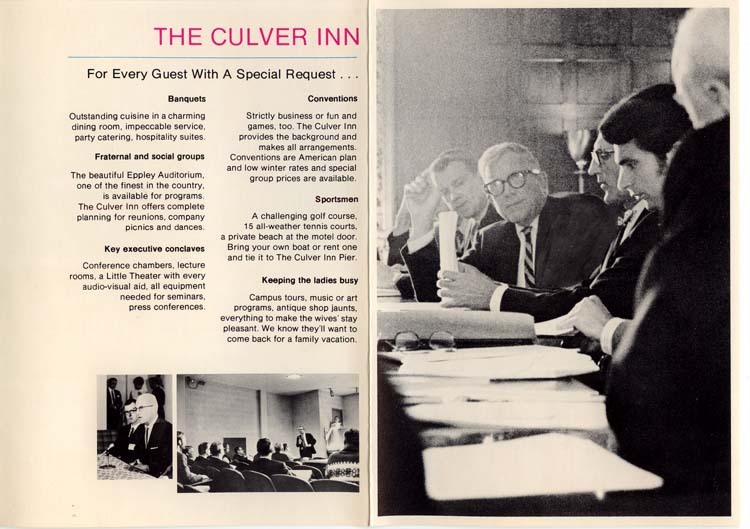 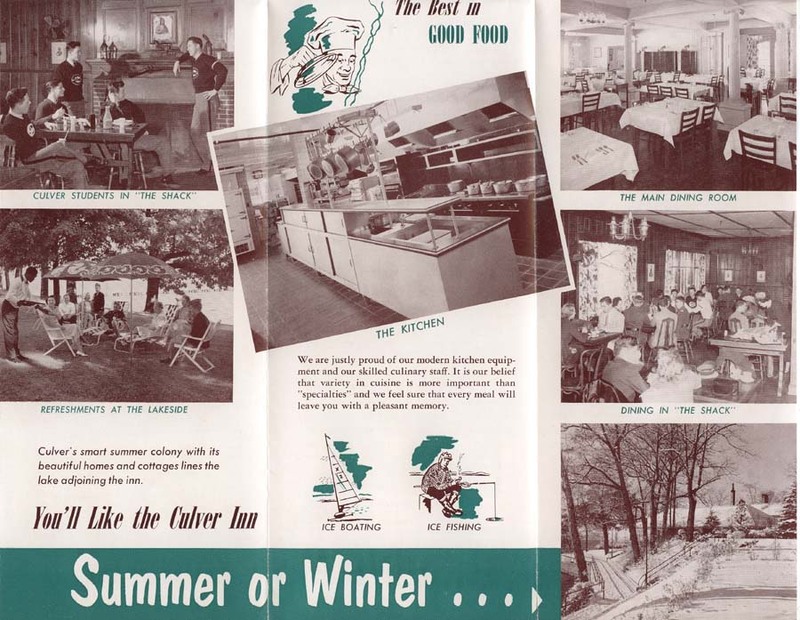 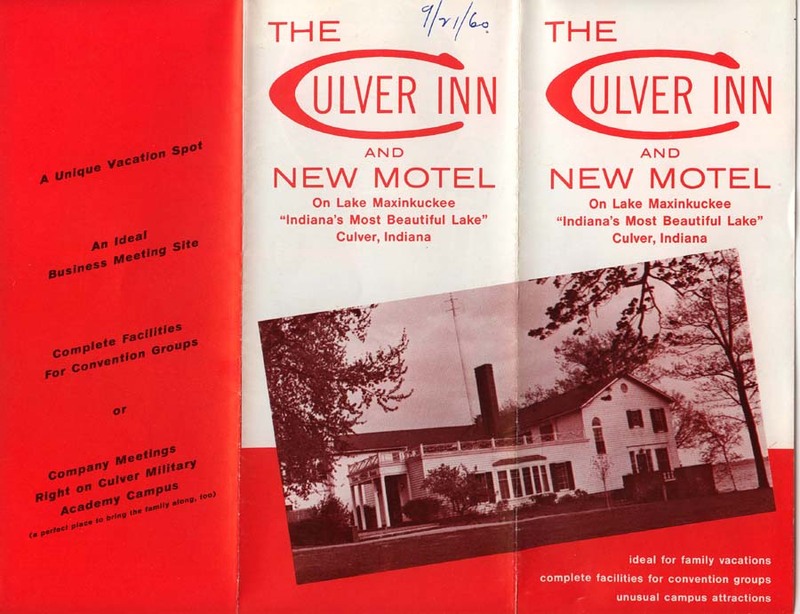 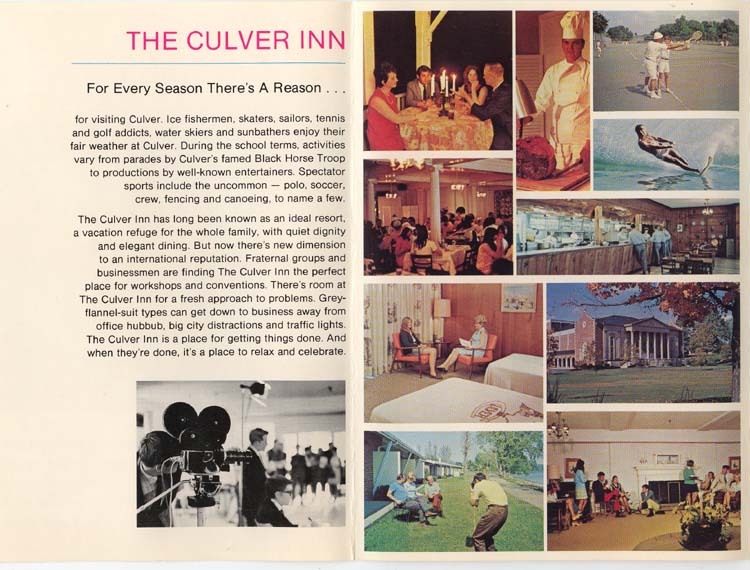 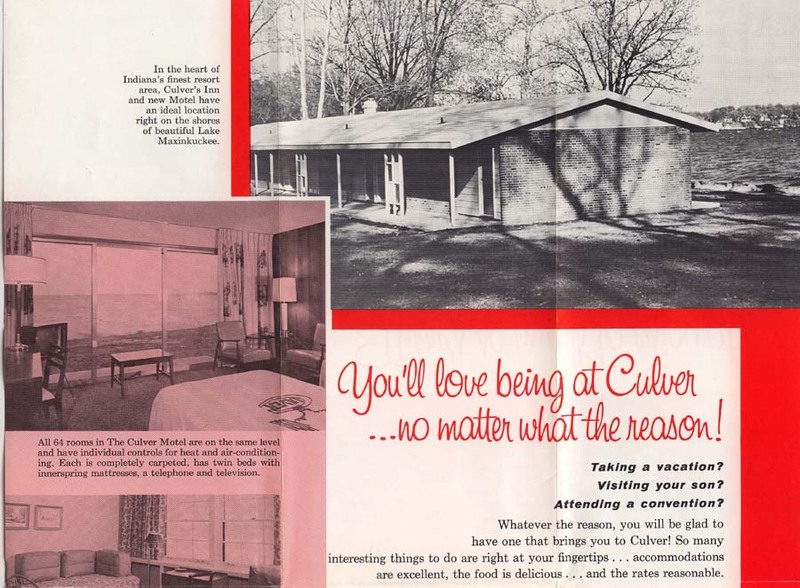 A 1960s promotional brochure advertising the Culver Inn contains some interesting views of the inside and outside of the place. 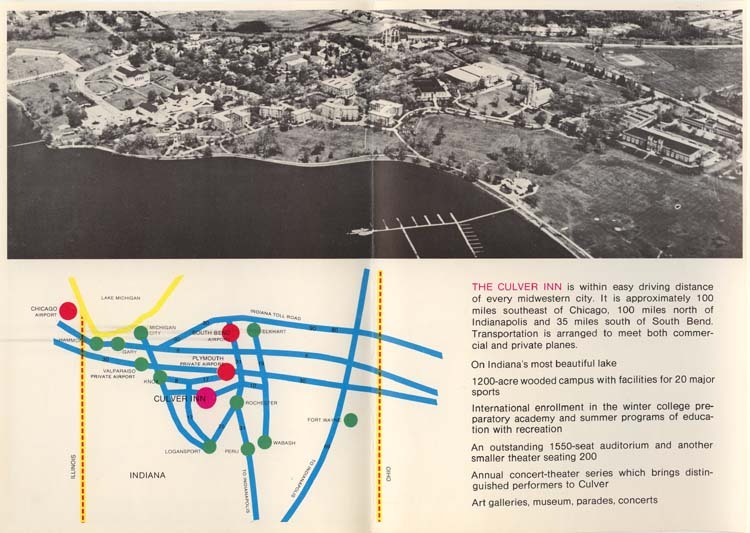 Thanks to Jan Sanders for the loan of the brochure below. 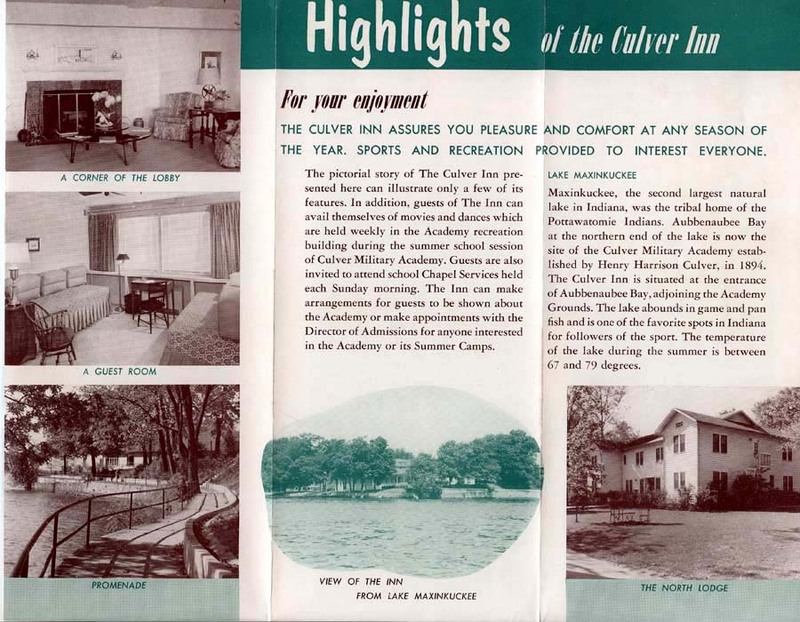 Click an image below to enlarge and view full-size. 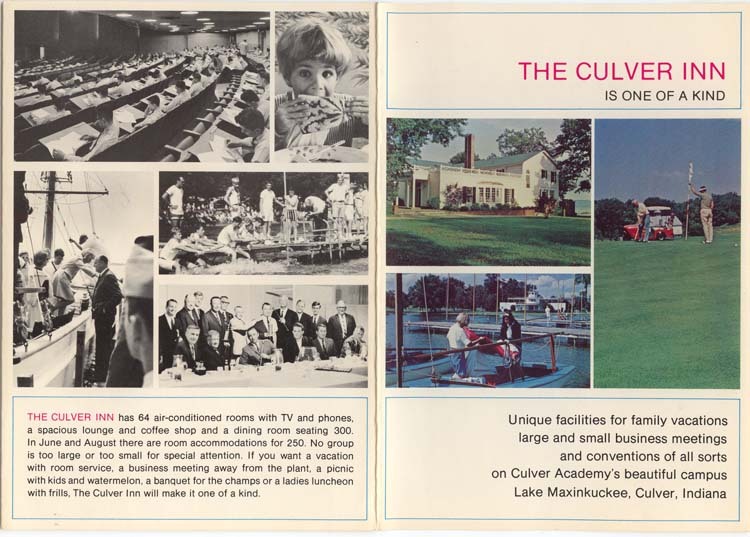 And two other brochures, possibly earlier? 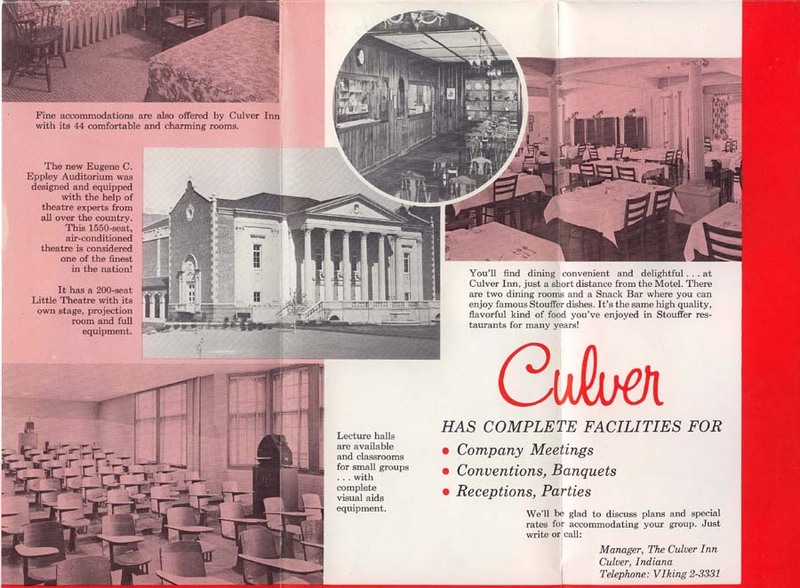 Thanks to the Marshall County Historical Museum for the use of this brochure.